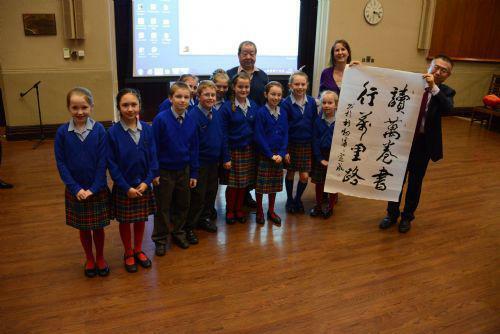 Year 5 and Year 6 children have been learning Mandarin Chinese for the last two years, so our Year 5 pupils were delighted to attend the Chinese New Year Festival celebrations of our partner-provider The Confucius Institute. Our children performed a traditional Chinese fan dance and enjoyed cultural performances by experts in kung-fu, calligraphy, Chinese violin, dragon dancing and acrobatics! The children were presented with a Chinese calligraphy scroll as a 'Xie Xie' for their dance.